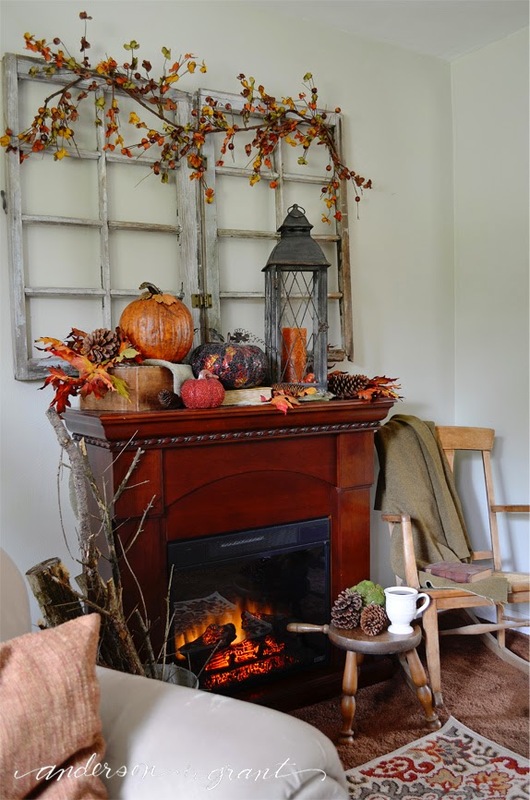 I received such amazing comments and compliments last fall on the mantel display that I posted. It was very layered and complex. While I enjoy doing displays like that, I can also get a little stressed out making it look perfect. 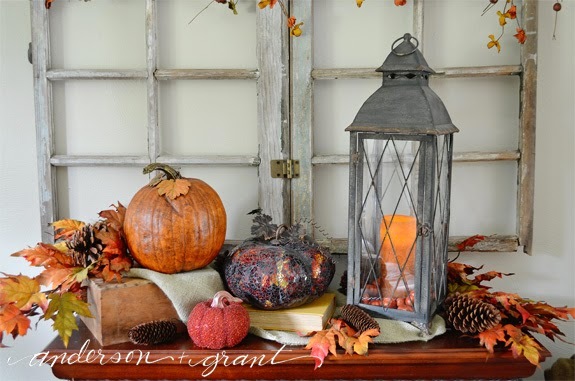 This year, I decided I wanted to go simple (and stress free) with my fall decorations. 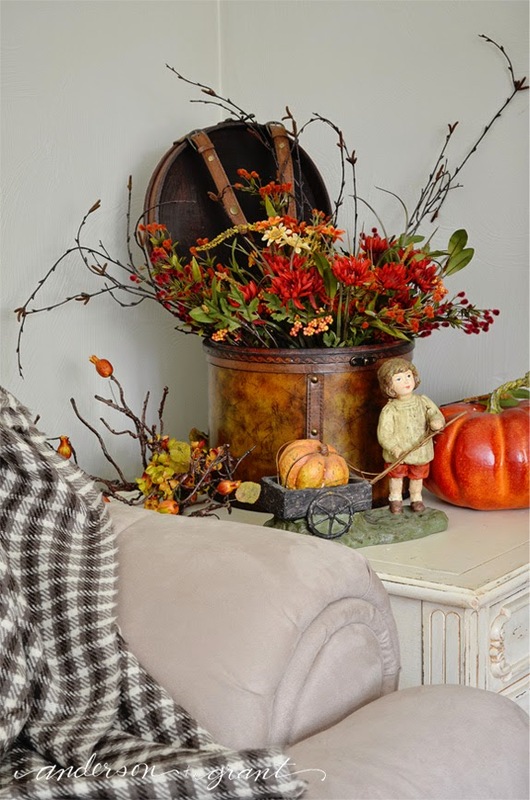 I wanted something laid back and cozy, yet still have all the elements of fall. 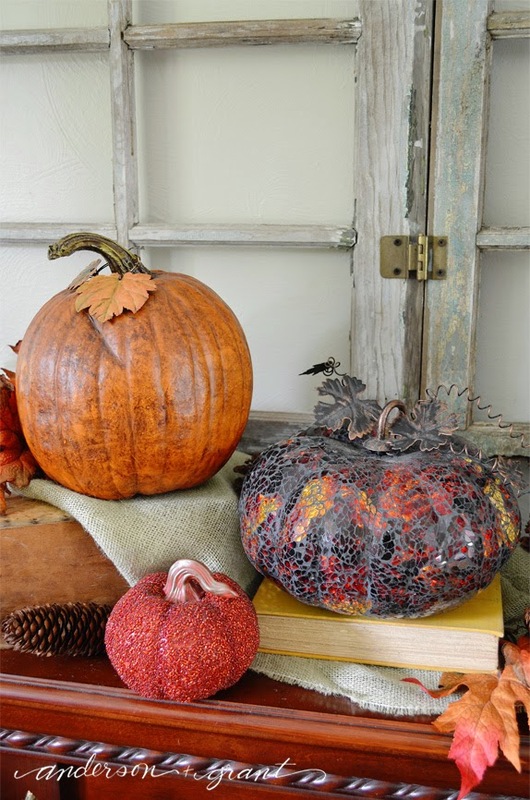 You can't go wrong with some leaves, pumpkins, and pine cones! 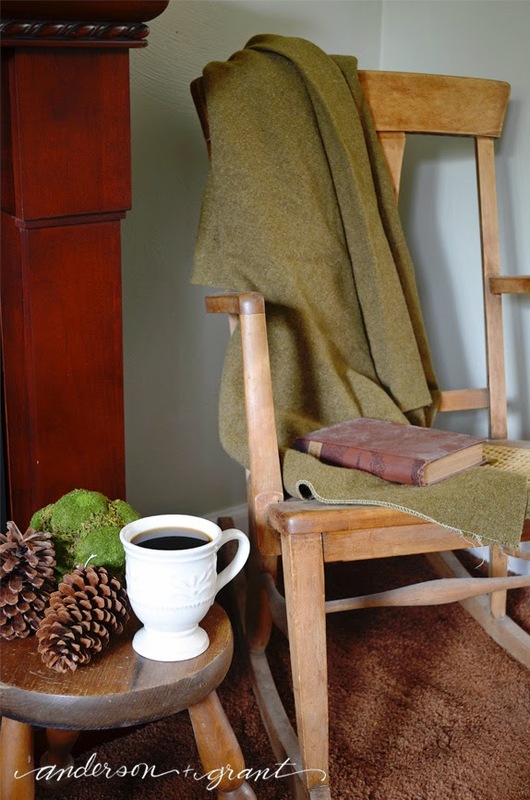 Don't you just want to curl up in this rocking chair and read a book by the fire? I think the pictures pretty much speak for themselves, so I'll just let you tour through the room! 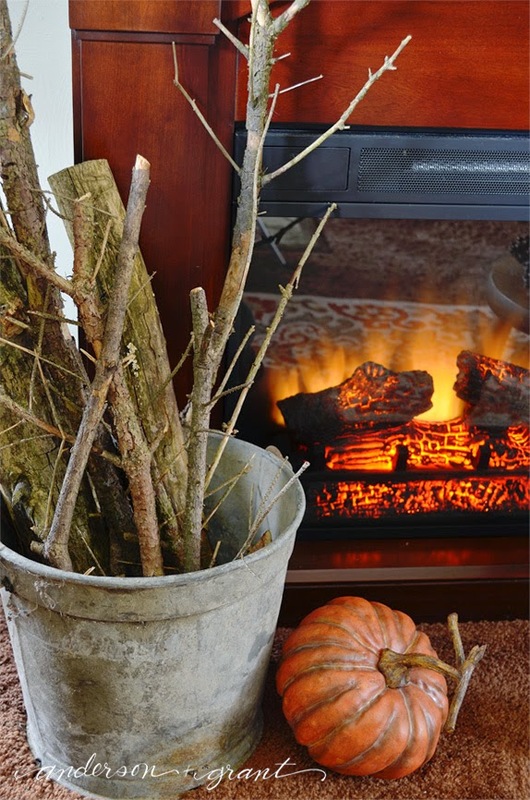 We'll start with my mantel. I love this trio of pumpkins. All three are different but the colors tie them all together. (The mosaic pumpkin really doesn't photograph too well, though!) They are sitting on burlap, which adds a little bit of texture to the display. 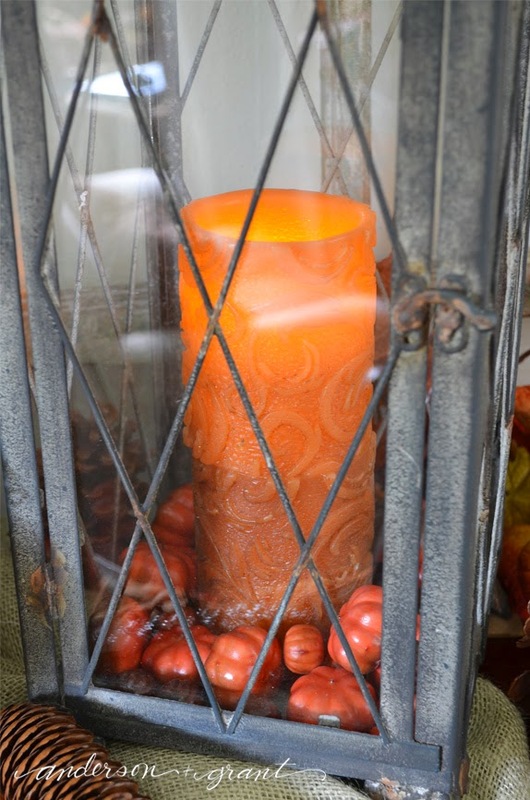 Pumpkins were also added on the base of the lantern to continue the theme. 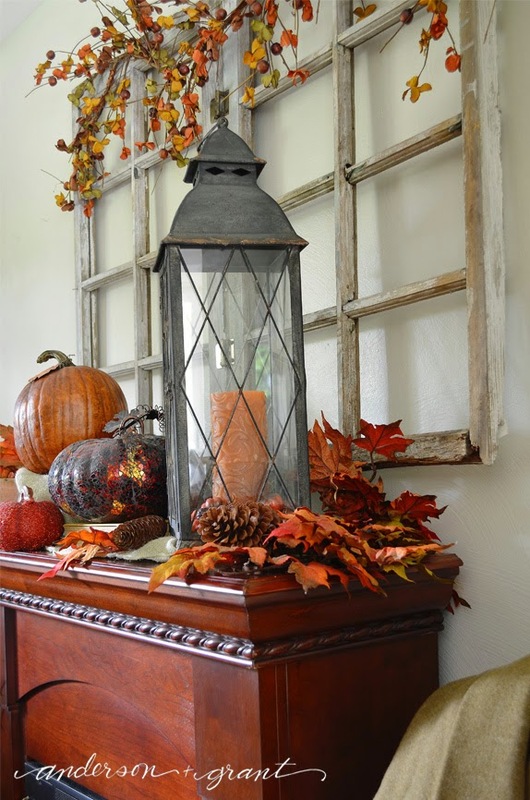 The backdrop of the entire mantel display is a pair of beat up wood window frames. They add architectural interest and really fill up the bare wall. 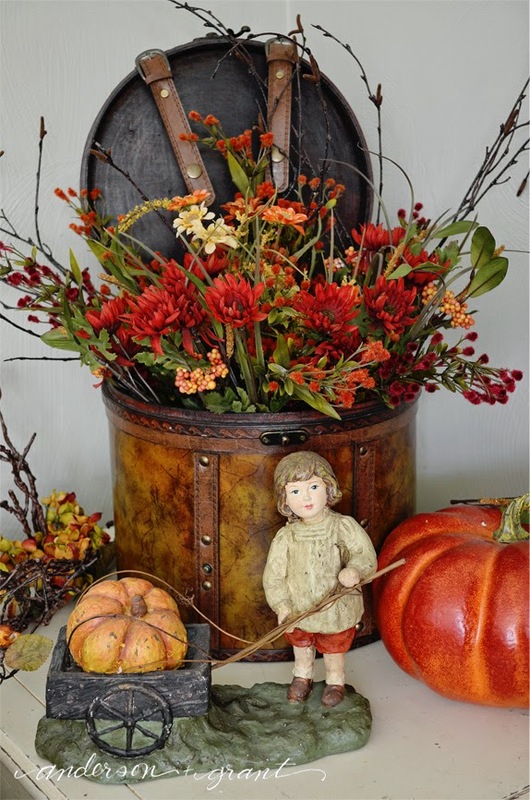 On the end table beside the couch, I added an open suitcase filled with flowers, along with a figurine and pumpkin. 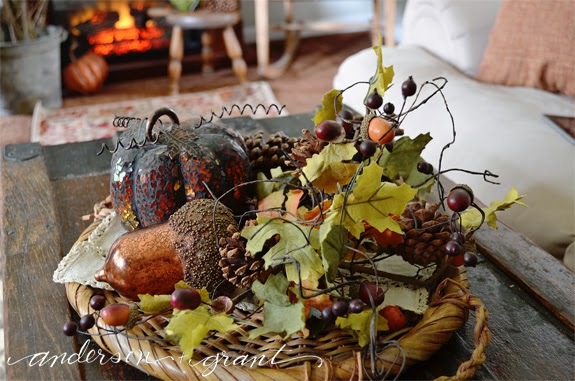 And on the coffee table is a basket woven tray filled with some greenery, a glass acorn, and a smaller version of the pumpkin on the mantel. Because it is built on a tray, it is easy to clear off the table if need be. 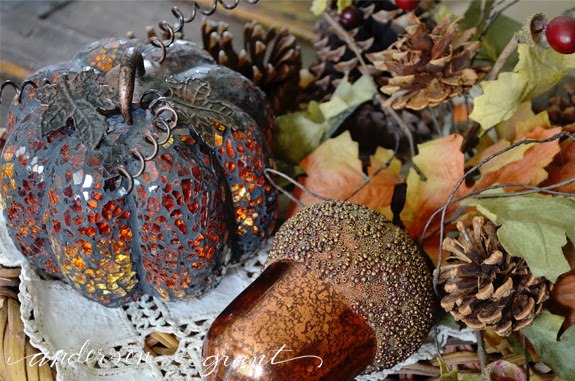 See how pretty the glass mosaic pumpkin can be? 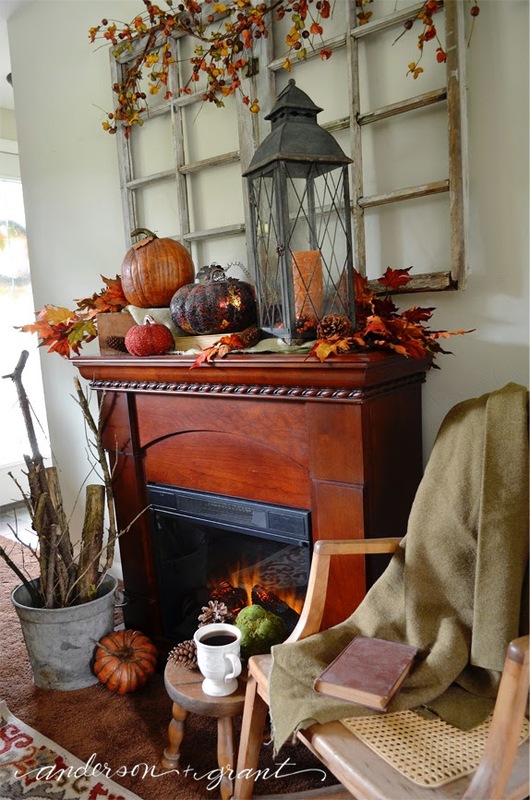 What do you think of my fall living room? 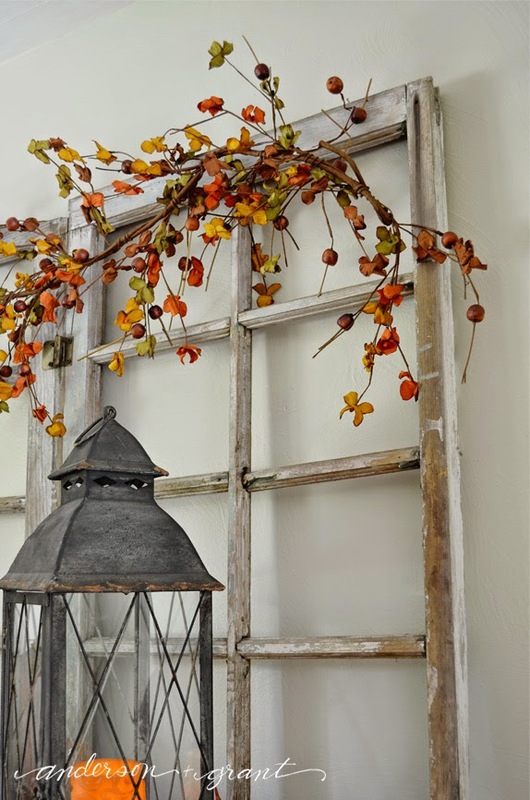 I hope to get my dining room done to share with you next week. 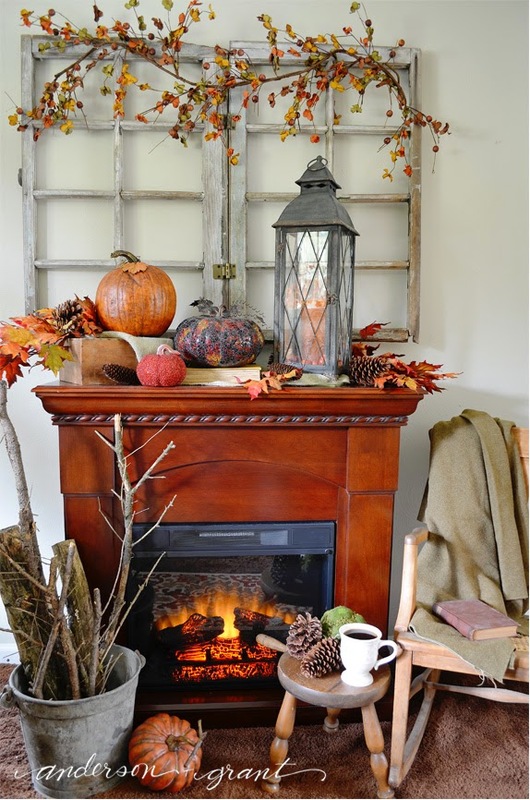 Have you decorated your home for fall yet? Sign up to receive my tips + inspiration for creating a home you love delivered directly to your inbox. 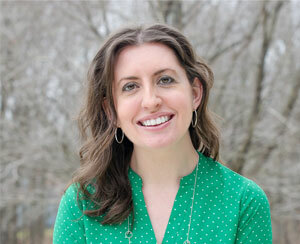 All images and text on this blog are property of anderson + grant. Feel free to use one or two photos that link back to the original post and give credit to this blog. Please do not remove any watermarks, crop, or edit any of my images without first getting written permission from me. © anderson + grant. Design by FCD.